What a great feeling it is when you pick up or hear about a new horror film, before you have even watched the film you get a slight rush of adrenaline at the thought of viewing it, because it might potentially terrify you. With that in mind there are a few horror films that I am looking forward to in 2014. New year, new scares. How long has it been since we’ve had a great cannibal film; I know the zombie genre is booming at the moment, but I’m talking strictly people eating people, not the dead eating people. The last one I viewed was Welcome to the Jungle, although it had some shocks, it was nowhere near on par with such greats as Cannibal Holocaust. What terrifies me about cannibal films is that they are actual people, and somewhere is the world this could be happening. Hopefully The Green Inferno can bring back some of those scares. 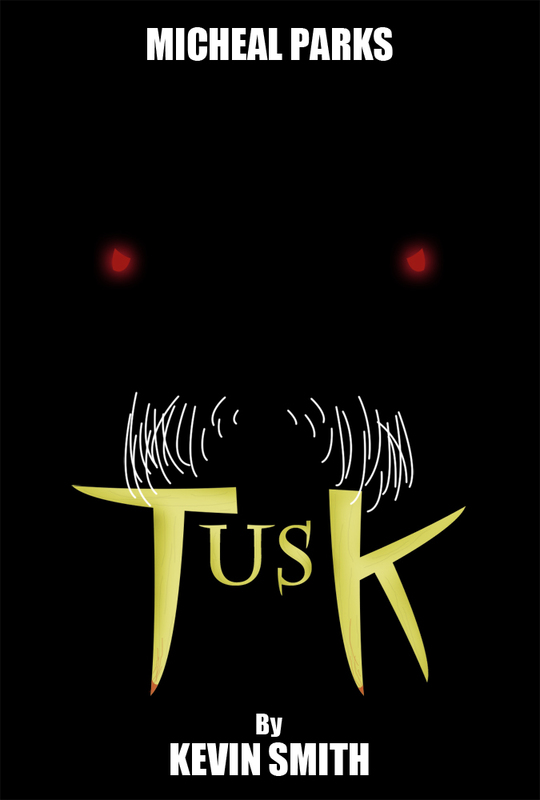 It is based around a group of college students who are attempting to help stop clear-cutting in the Peruvian jungle, however once their plane crashes and they try to take refuge with the very natives they were protecting, they find out that the tribe would rather eat them than be saved by them. Directed by Eli Roth, so the expectations are quite high. The last horror-comedy which I viewed was Cockneys vs Zombies, and although it made for a laugh, it didn’t bring to the table the aspects of, say, Shaun of the Dead. 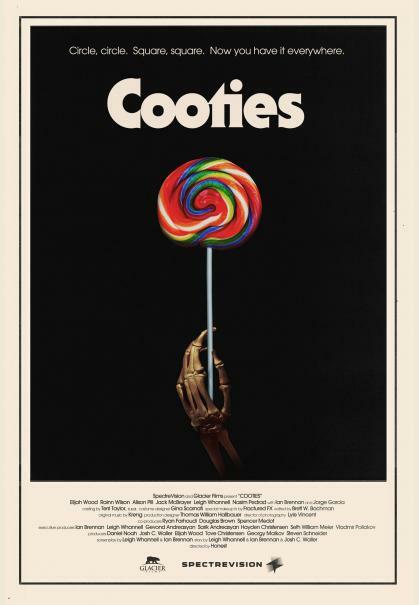 Hopefully Cooties will, it is a new American horror-comedy starring Elijah Wood and Rainn Wilson in which the staff members of an elementary school must fight off their students after they are infected with an unknown virus which turns them into violent savages. I think this could be a great twist on the genre by having the killers being children, and that concept alone sounds quite amusing. After the disappoint that was the 2005 film Boogeyman, it has been hard for me to get on board with another one of these types of films since. 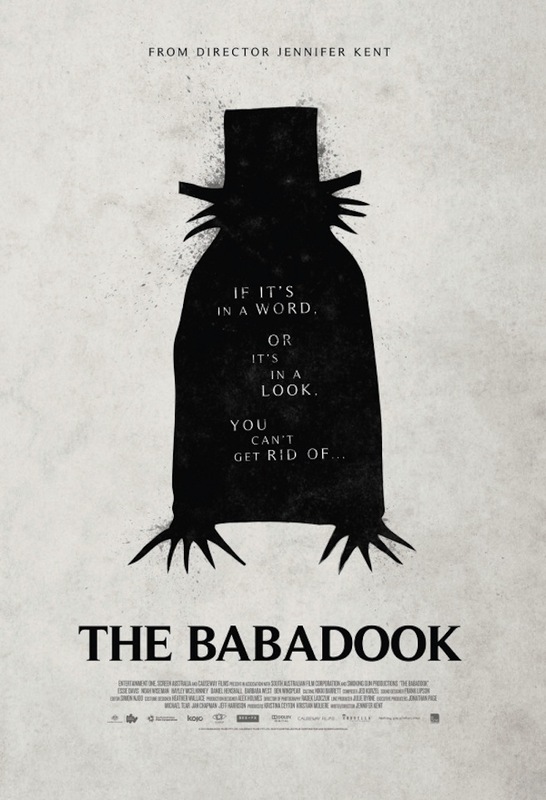 However The Babadook is looking to be quite the shocker from its trailer. What I like about films which focus on childhood nightmares and ghouls is that it can force you to revisit what scared you when you were younger and were trying to get to sleep at night. A mother is trying to come to terms with the death of her husband, and at the same time attempting to comfort her child with his fear of a monster lurking in the house. But as she also begins to feel the presence of an evil being, her son’s nightmares become all too real. From the mysterious being in the trailer I know that I would be terrified as a child, or even an adult, if I saw it. The REC franchise is one of my favourite in the horror genre, and although I didn’t think that REC 3: Genesis was a complete bomb, it definitely was a lot weaker than it’s two amazing predecessors. Thankfully the fourth instalment is going to continue on the original story line more than the third did, and hopefully it will stick to just the hand-held camera rather than switching between the two. Juame Balaguero, who co-directed the first two, is back to deliver this Spanish horror flick which centres on Angela (who you will remember as the reporter who gets infected with a demon in the first two) who is rescued from the building and is taken away by soldiers to be examined; unbeknown to them she is still carrying the servant from hell inside her. Haley Joel Osment returns to the horror genre in Kevin Smith’s new film about a man who goes searching for his best friend in the backwoods of Canada. Although Smith has dipped his hands in various genres throughout his career, I didn’t think horror would be on that list. However from reading about the film’s plot and seeing images from it, it may not sound scary, but it certainly sounds like an interestingly original idea. It seems that Smith came up with the idea on one of his own podcasts, about a man who let someone live in his house rent free; so long as they dressed like a walrus. Justin Long and the southern-talking Micheal Parks are also set to star. The Purge 2 is also set for release on July 2nd, however due to regrettably not viewing the first one I can’t place an opinion on whether I would be looking forward to it. But from the reviews I’ve read it would appear that the second is being made because the first was so successful. Bring on the rest of 2014. 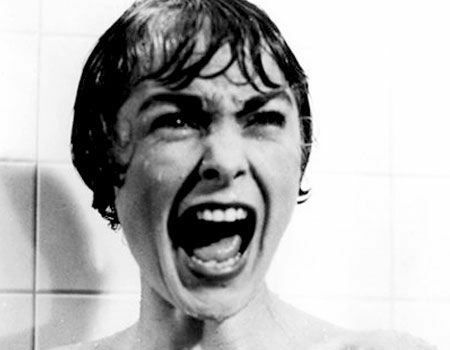 What is it about horror films that scares us? It could be a number of things, or it could just be one element of the film. Whether or not you will admit to it, there will have been a film that has made you feel uncomfortable whilst you have been watching it. It could be the dialogue, the characters, the setting, the effects or the story line. While some films will scare certain people, others will not be so terrified by them. The tone of the film and what is in it is what determines who will get scared by it. I think that there are at least 5 different categories in horror and everyone falls in to one of them. Whether you like it or not, there is one film out there that will have had the hairs on the back of your neck stand up as the cold chills ride themselves up your spine. We have all been there, you have just sit down to watch a horror film and as you begin to get into the story and know the characters there comes a loud bang and the appearance of the antagonist; which is usually followed by your arms flailing in the air and your vocal chords letting out a loud, screeching yelping noise. You have just been the victim of a jump scare. They are one of the oldest types of scares from horror films and generally are given when the antagonist, another character or an animal jumps out onto the protagonists. However after so many horror films have used them through the years, the building music followed by total silence and then a big bang has become a cliché. Therefore they have lost some of the ‘oompf’ which used to terrify audiences. This aspect of horror films has been constantly getting improved on throughout the years (unless they decide to use CGI) which means bad news for anyone who is squeamish around the sight of blood, disembowelment or limbs being pulled apart. Apart from affecting the squeamish, gory films may also be so effective because if is done well it can make the film and the scenes which are depicted so much more realistic to the viewer. Sometimes gore can improve a film when the plot is lacking a bit; the make-up effects can keep you gripped throughout. For example with the 1979 film Zombie Flesh Eaters, it is an iconic film in the horror genre; not so much for the story as it is for its exceptional make-up work on its characters. I have seen a lot of gory horror films in my time, but the effects still astonish me, and on more than one occasion have made me clench my teeth together and make a disgusted face. This is one of my favourite elements of horror films. It is great when you see a film that just sets the tone of the plot so well, that it can have you shaking just from listening to the dialogue of the characters. Like the imagination element creepiness is used best when not much of the antagonist is seen on camera, but just snippets or the feeling that an evil force is lurking nearby. What is great about the creepy aspect is that film makers can use nearly every part of their movie to give you that creepy feeling. Diegetic/non-diegetic sounds, lighting, settings and even silence can be used to immerse the audience into that state of them being in danger from a deadly presence. A great example of this is M. Night. Shyamalan’s Signs. In this personal favourite of mine Shyamalan uses all of these aspects to give a creepy notion throughout the entire film. Although you could argue that it was slightly ruined with the CGI ending, there is no doubt that you constantly feel as though the characters are being watched, something which is rubbed off onto the audience. Probably the most obvious element of a horror film scaring a viewer is if they watch one that uses something they are scared of in their daily lives. For example with me it would be aliens and therefore The Fourth Kind brought the heebie jeebies to the surface. Other examples could include REC for a fear of disease, It for a fear of clowns, Ju-On: The Grudge for a fear of ghosts and Buried for a fear of small spaces. It just all depends on what you are scared of because film makers will have thought about what scares people when they aren’t watching films and will use that idea to make a movie which will probably force the viewer to be even more terrified of their fear. Your imagination might be thought of as a fantasy place where you can create whatever you want and do whatever you want. However, your imagination is also the doorway to the deepest, darkest fears which lurk inside your head. They are just waiting for you to turn off that light or walk down that dark alleyway so that they can unleash whatever it is that scares you the most. I think that this element is quite possibly the best one to use for a horror film. As well as it delivering the creepy factor and playing on your own fears, it gives the audience the ability to form the idea of the antagonist themselves. Thus making them release their inner fears and project them into the film. Films which use this factor generally do not show the villain at all, or if they do it will only be a slight glimpse. Therefore they use suspense to their advantage. If the film makers can keep the suspense at a high throughout most of the film then that is great, but ending the film on a high without showing the ‘bad guy’…now there is the real challenge. Let me know what it is in horror films which scares you and why. Technology has never been my strong suit, and when it comes to the internet; I am probably the least internet-savvy person out of my friends. The point I am trying to get across is that I am still finding out new things about the world-wide-web, which many other people have known for a couple of years. One of which is YouTubers. 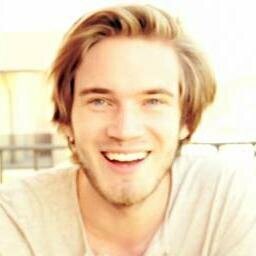 I have only recently realised that you could make a living out of it, and, I know a lot of people probably say the same, but the first YouTuber I saw was Pewdiepie (Felix Kjellberg). The world-famous Swedish internet personality has gained fame because of his warming welcome and hilarious personality. However what it was about him which first got me watching was his attitude towards horror games. Although he jumps at the slightest things, he has not let that stop him playing through games which would make Schwarzenegger crawl in to a ball. Through Pewdiepie I have found out about new and exciting horror games, whether he’s playing through the incredible game series’ such as: Amnesia: The Dark Descent, The Walking Dead, Outlast and Lucious, which offer scares but also great character development. Or if he’s playing short indie games such as: Slender, Erie, 7 Days and I See You, whose sole purpose is to make you turn from a man into a mouse in a matter of seconds. They are all enjoyable to watch, mainly because I think most of his viewers see themselves in his place; it feels as though you are playing the game too, but you have the relaxation of realising that you’re not. I think that feeling of experiencing a game together, makes him seem closer to his fans. It is an overwhelming feeling when both you and ‘Pewds’ jump out of your skin at the same time, and what adds more to it is the laughter which is created after you see his over-the-top reactions. Whatever the future holds for Pewdiepie, if he keeps making them…then I’ll keep watching them.